So, what are your stories, parents who also ecomod? My daughter has an early interest in engineering--though she wavers sometimes. She want to make money (little mercenary!). Anyway, at 15 and a sophomore in HS she is developing a command of math and chemistry that is enviable from the perspective of a guy like me who never did find the right teachers in those areas of study. I always wanted to know the relevance and always got lame answers. My daughter wants to do the puzzles and master them and "win" (very competitive kid!). She got a perfect score on a chem test yesterday and it precipitated a conversation between us like fe we have had. She denigrated her own knowledge, saying how she had managed to muddle through. Or that she was just lucky. I asked her to explain an example problem. Her mastery of variables in calculating molar mass and how much energy it would take to bring a specific amount of a given liquid to boiling point were impressive. She had data and processes memorized and readily showed me on a scrap of paper. I had two realizations to share with her. First, the the formula was essentially algebra applied in a specific context. Second, I showed her the below animation of a combustion chamber like the one she just saw me dismantle last week in our driveway. We watched 4:12-4:42 repeatedly (on 25% slowmo). I explained the process depicted, relating it to the calculations she is learning as best I could. We discussed how one might calculate the heat energy, the "atmospheres" involved, the boiling point of the coolant, and the proper size and function of elements in the system. We didn't have any specific answers, of course, (too little data and experience) but we got to talk about how math and chem are integrated parts of engineering, so it felt pretty awesome. Most of what I was sharing I had learned through ecomodding. Anyway, it was just such a cool conversation. Plus, she recently broke off a dating thing with a boy in her chem class and got her focus back. She had been talking about how brilliant HE was and trying to be pretty enough. That over-emphasis on the boys is a common path away from math/science success for girls. Now she broke it off and is just focused on developing her skills. Have you had experiences like that with young people (not necessarily one's own child)? Plus, she recently broke off a dating thing with a boy in her chem class and got her focus back. She had been talking about how brilliant HE was and trying to be pretty enough. That over-emphasis on the boys is a common path away from math/science success for girls. Now he drives a black SRT-8. Where did I go wrong? It sounds like you have yourself a Girl Genius. Two for two. That's a win. To be fair to my son, I wasn't driving for mileage so much as ticketably-efficient use of the highway system. That probably explains it. He did get a 2-year-old 2012 that was off-lease from a Microsoftie that never put miles on it. So the buy at the bottom of the curve strategy sunk in. How about the other way - teaching your parents to hypermile? My mom is now getting 27-28 MPG out of the '04 Toyota Sienna (rated 20) and my dad gets close to 40 out of his dealer car ('17 stock Mazda 3 hatchback). That is one dream MO-CHINE! My daughter wants a Beemer (which makes me wanna disown her, JK). But at least she has decided she wants me to teach her to drive a manual and do all basic service stuff. Thanks. 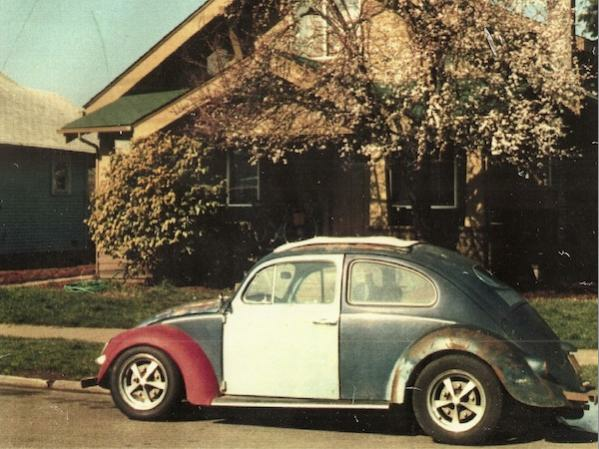 I miss every VW I couldn't hold onto. Those wheels were on my first one, a black 1958 convertible. I traded them just this year for the diesel Dasher. I think a kid should start with a floorpan and transaxle, and as they finish it think about the motation and body style they want. 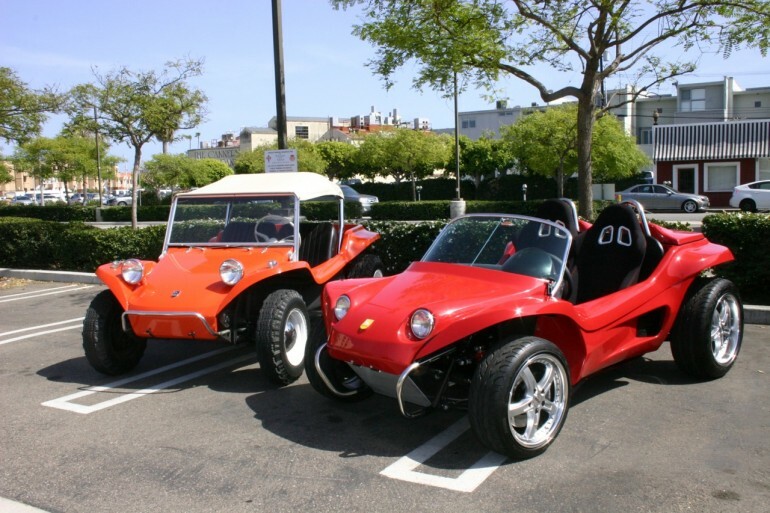 A salvagable fiberglass dune buggy rebuilt for the street might be a good start. Not a lot of doors and weather seals and upholstery to deal with. I have two girls, 5 and 7, who are somewhat interested in the fact that I shift. Mostly, though, they hate that I don't have a video player in my car. Wonderful story! Congratulate her from all of us!! The extent of my efforts to edumacate my extended family's younguns is offering to explain mechanics to them if they express any hint of interest. So far I've only had one nephew really take the ball and run with it.